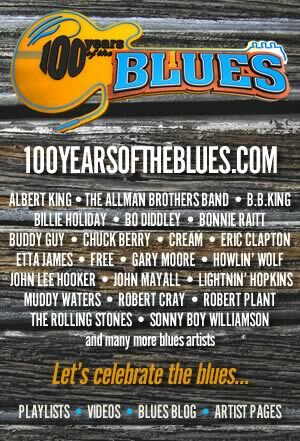 In the pantheon of blues-rock there has never been a band that burned so brightly, was more commercially successful and made so much great music in so comparatively short a period of time as Free. They are probably best known for their 1970 signature song, 'All Right Now' but theirs is a rich deep catalogue, surprisingly so given their comparatively short career. Free disbanded in 1973 and lead singer Paul Rodgers became the frontman of Bad Company along with Simon Kirke on drums. In 2004 Paul Rodgers worked with Queen offering a different take on Freddie Mercury's vocals for the band. Bass player Andy Fraser formed Sharks and wrote 'Every Kinda People' that Robert Palmer covered, while the brilliant lead guitarist Paul Kossoff formed Back Street Crawler and then tragically died from a drug-induced heart failure at the age of 25 in 1976. The band came together in London during the spring of 1968. Simon Kirke (drums) and Paul Kossoff (guitar) were both in an R&B band going nowhere called Black Cat Bones. Increasingly frustrated with the straight conventions of R&B they found Paul Rodgers (vocals) playing in a blues band called Brown Sugar in The Fickle Pickle pub in Finsbury Park. Impressed, they approached him and, after Kossoff got up on stage to show off his expertise, they'd decided that their future as a newly-formed band beckoned. A bass player was sought and before long 16-year-old Andy Fraser, fresh from a two-month spell with John Mayall's Bluesbreakers, was recruited. The now complete line-up for Free (a name recommended by Alexis Korner) gelled instantly and they made their debut at The Nag's Head in Battersea on 19 April 1968, playing a mixture of blues covers and original material. Alexis Korner, keeping a watchful eye on them, introduced them to Chris Blackwell of Island Records who immediately liked everything about them except their name. "It's got to go", said Blackwell. "From now on you're The Heavy Metal Kids or the deal's off." Andy Fraser, the business head of the group and self-appointed leader, thankfully managed to convince him otherwise. Rodgers and Fraser were developing a fruitful songwriting partnership, musically they were more than proficient, and overall they were a remarkably solid, focused, professional and self-sufficient unit from the outset, obviously destined for success. They recorded their first album, Tons Of Sobs, virtually live in the studio at a cost of less than £1,000 with the legendary but technically suspect Guy Stevens assigned to them as producer to ensure perhaps that their essential rawness and vitality wasn't compromised. Not a completely satisfactory situation, Tons Of Sobs turned out to be an impressively mature work lyrically if not musically. Their sound was raw, earthy, uncluttered, tight and immensely powerful, and every member contributed a vital component even though Rodgers' singing and Kossoff's guitar work took centre stage. Although it didn't chart in the UK, Tons Of Sobs provided the launching pad for an intense period of touring with the likes of The Who and The Small Faces, radio sessions and more recording. By January 1969, two months after the release of their debut, they were recording what proved to be a fraught and surprising second album. Already, and not surprisingly for a group so young and headstrong, there were rifts developing within the band and it was only Chris Blackwell's intervention as producer and mediator that saved both album and band. The result, Free, released in October 1969, was a quieter, more reflective affair prompting Rodgers to comment that they had become "basically a soul band". With perhaps the most arresting artwork to grace any of their LPs, it reached No. 22 in the UK album chart but, despite all the hard road-work, didn't really sell any better than their debut. Despite this hiccup the band continued to gig incessantly, virtually living on the road. The North East was the first part of the country to take them to their hearts, and a subsequent live album, Free Live, was part-recorded in Sunderland. Although neither they nor anybody else knew it at the time, the autumn of 1969 marked a critical turning point for the band. Legend has it that after a particularly bad gig in a venue no one likes to recall they decided that their audience needed a song to dance to and then spontaneously began dancing around singing "all right now, all right now". Rodgers' basic chat-up-line lyrics followed naturally and a hit was made. Unaware of just how anthemic a song it would become, they played 'All Right Now' live a good deal before commencing recording of their third album, Fire And Water. As before, the recording process was none too smooth. A confrontation with Island over whether the album should be subsequently remixed was followed by a row about the need for a single edit for 'All Right Now'. The band apparently saw it as a five-and-a-half-minute album track while Chris Blackwell was convinced that edited, it was a hit single. And we all know who won that particular argument. Released in May 1970, 'All Right Now' reached No. 2 in the UK singles chart and No. 4 in the US. Even today radio play for the song worldwide is virtually non-stop. It was a massive and enduring hit record and it changed everything for the band. A No. 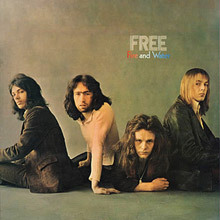 3 UK album and still the band's most commercially successful LP, most of Fire And Water is in stark contrast to 'All Right Now', being far less upbeat and carefree. It seems the band themselves were concerned that their hit single was all that they'd be remembered by rather than the meticulously crafted and deep-felt blues-soul that they'd developed. But there was no doubt that 'Freemania' had gripped the pop/rock world. They appeared again at the Isle of Wight Festival in July 1970 and everything seemed back on an even keel, albeit temporarily. 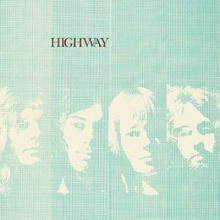 A fourth album, Highway, came together relatively easily and displayed the band's growing confidence in both songwriting and arrangements. It contains what many thought would be a follow-up hit single, 'The Stealer', but to the band and record company's dismay it inexplicably stiffed on release in November 1970 triggering a spiralling crisis that ultimately had dire consequences. The Highway album, released a month later, suffered a similar fate and didn't even make the charts. If the problems of such mercurial stardom had caused some problems the more debilitating effect of almost as sudden failure was even more keenly felt. Lives were changed, perspectives altered, egos damaged, pressure mounted, grievances aired. Despite rewarding US and UK tours at the beginning of 1971 and a successful recording session for their next single, 'My Brother Jake', tensions within the band were building to an intolerable level and they decided to split up in May, ironically whilst 'My Brother Jake' was at No. 4 in the UK singles chart. It was a decision that they would all, for various reasons, soon come to regret. The live album, Free Live, came out a month later and perhaps frustratingly achieved No. 4 in the UK album chart, but by then a slew of solo projects were being embarked on - Andy Fraser formed a band called Toby, and Rodgers had his own trio called Peace, neither of which amounted to much. At least Kossoff and Kirke, along with John 'Rabbit' Bundrick and Tetsu Yamauchi, succeeded in releasing an album, but nothing any of them did came close to the excitement, unity and sense of fulfilment that Free had once given them. Paul Kossoff, more than anyone, seemed bereft after Free split and his increasing drug dependency, immediately visible to his old band-mates, was a cause for concern, so much so that it appears one of the main reasons they decided to re-form in January 1972 was specifically to give him some purpose in his life again and try and save him. Rumours of their reunion spread quickly and a 'surprise' warm-up gig at the Fulham Greyhound drew a crowd of 2,000. Free were back - temporarily at least. Recording began for what turned out to be the highly respectable Free At Last album (released in June 1972 - No. 9 in UK chart), but Kossoff's salvation was proving to be only partially successful, and one tolerable UK tour and a disastrous US jaunt later it became clear that all was not well. In July, days before a second Japanese tour, Andy Fraser left the band to join Sharks, and Kossoff pulled out to seek treatment. Rodgers and Kirke fulfilled the band's commitments with the help of Tetsu and Rabbit, and when they returned home Kossoff somehow managed to re-join and help them record 'Wishing Well', a poignant song written by Rodgers to and for Kossoff, a No. 7 UK single and the lead track on what came to be the Heartbreaker album. Gigs had become a travesty but somehow Free still managed to cut it, spectacularly and with no small help from engineer Andy Johns, in the studio. Now as a five-piece, they sounded more powerful, unified and expressive than ever, this despite Paul Kossoff's inconsistent attendance and the underlying feeling that the whole enterprise was teetering on the point of collapse again. Kossoff managed to contribute to five of Heartbreaker's eight tracks and what he did play was quite special; his solos on 'Common Mortal Man', 'Come Together' and 'Seven Angels' for instance are truly memorable and his playing is a major reason why Heartbreaker is still considered, 40 years hence, one of Free's finest achievements. Another reason is that the songs, especially 'Wishing Well', are so strong, Paul Rodgers having assumed the mantle of chief-songwriter, and also the "full, textured sound" that Bud Scoppa in Rolling Stone attributed to Rabbit's involvement. When Kossoff couldn't make it, 'Snuffy' Walden (later to become a prolific and highly successful TV and film soundtrack composer - he wrote the music for The West Wing!) took over the guitar parts, much to Kossoff's annoyance who is somewhat cruelly only listed as an additional musician on Heartbreaker and not a member of the band. Unable to face the prospect of his unreliability on a prospective US tour he was respectfully and fatefully eased out of the picture. Wendell Richardson from Osibisa filled in for Kossoff on the US tour, the last gig of which - in February 1973, a month before Heartbreaker was released - was Free's final ever show. Their aftermath was a mixture of success and tragedy. Paul Rodgers and Simon Kirke formed the hugely successful Bad Company and progressed into comfortable rock star middle-age, and Andy Fraser, after his spell in Sparks and a stint at having his own band, eventually found a lucrative career as a songwriter for the likes of Paul Young, Robert Palmer and Chaka Khan. Paul Kossoff's story, sadly, had a different outcome. His solo project, Back Street Crawler, came to nothing substantial and, in an endless vortex of drug dependency he passed away of heart failure on a flight across the US on 19 March 1976. Thankfully though his guitar playing and the majestic, strutting, soulful music of Free lives on. They left a legacy of seven albums, four of them making the UK Top 10, and Heartbreaker (fittingly re-issued in 2002 with six extra tracks) arguably their finest achievement. Plus of course three landmark Top 10 singles and an indelible stamp on British rock music. If Fleetwood Mac, Humble Pie, and Foghat were never formed, Free would be considered one of the greatest post-Beatles blues-rock bands to date, and Fire and Water shows why. Conceptually fresh, with a great, roots-oriented, Band-like feel, Free distinguished itself with the public like Black Sabbath and Deep Purple did (in terms of impact, only) in 1970. Free presented itself to the world as a complete band, in every sense of the word. From Paul Kossoff's exquisite and tasteful guitar work, to Paul Rodgers' soulful vocals, this was a group that was easily worthy of the mantle worn by Cream, Blind Faith, or Derek & the Dominos. Although Free was never destined to scrape the same skies as Led Zeppelin, when they first burst out of the traps in 1968, close to a year ahead of Jimmy Page and company, they set the world of British blues-rock firmly on its head, a blistering combination of youth, ambition, and, despite those tender years, experience that, across the course of their debut album, did indeed lay the groundwork for all that Zeppelin would embrace. That Free and Zeppelin were cut from the same cloth is immediately apparent, even before you start comparing the versions of "The Hunter" that highlight both bands' debut albums. Where Free streaks ahead, however, is in their refusal to compromise their own vision of the blues -- even at its most commercial ("I'm a Mover" and "Worry"), Tons of Sobs has a density that makes Zeppelin and the rest of the era's rocky contemporaries sound like flyweights by comparison. 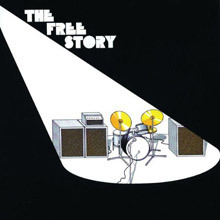 The 2002 remaster of the album only amplifies the fledgling Free's achievements. With remastered sound that drives the record straight back to the studio master tapes, the sheer versatility of the players, and the unbridled imagination of producer Guy Stevens, rings crystal clear. Even without their visionary seer, however, Free impresses -- three bonus tracks drawn from period BBC sessions are as loose as they are dynamic, and certainly make a case for a full Free-at-the-Beeb type collection. Of the other bonuses, two offer alternate versions of familiar album tracks, while "Guy Stevens Jam" is reprised from the Songs of Yesterday box set to further illustrate the band's improvisational abilities. As if they needed it. The band’s second album was recorded and released in 1969 and was produced by Island Record’s chief Chris Blackwell. It saw the blossoming of the songwriting partnership between vocalist Paul Rodgers and bassist Andy Fraser, with eight of the nine tracks bearing the Fraser/Rodgers credit. The album spawned two singles: ‘Broad Daylight’ and ‘I’ll Be Creepin’ along with ‘Woman’ that was to become a live classic. 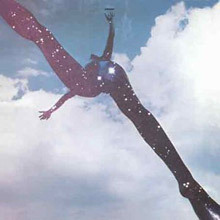 The album was also notable for the extremely innovative and impressive artwork of its cover featuring a striking design of a woman made of stars leaping across the sky. Highway is the fourth studio album from Free. It was recorded extremely quickly in September 1970 following the band’s success at the Isle of Wight festival. Paul Rodgers and Andy Fraser collaborated on writing seven of the nine songs – highlights included the epic ‘Be My Friend’, the live favorite ‘Ride On A Pony’ and the mournful ballad ‘Soon I Will Be Gone’. 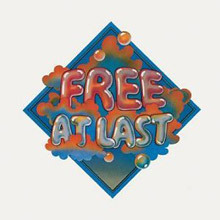 Free At Last is the band’s fifth studio album and came out in 1972. The band broke up in April 1971 due to differences among its members and they pursued separate projects for a while, including the Kossoff, Kirke, Tetsu & Rabbit album that did attract some favorable attention. Free reformed to help Kossoff with some of his personal problems and this album was the result; it includes the hit, ‘Little Bit Of Love’ and ‘Travelling’ Man’ along with the wonderful ‘Sail On’. 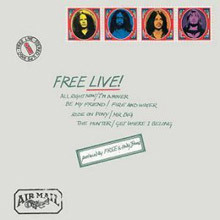 ‘Free Live’ was rush-released by Island Records to commemorate the band after they broke up in April 1971. The album was recorded in Sunderland and Croydon; both places in which Free had substantial fan followings. ‘I’m A Mover’, ‘Mr Big’ and ‘Fire & Water’, loud guitar driven favorites from their earlier albums, provided the basis of the set with one of the band’s most popular tracks ‘The Hunter’ and the classic ‘All Right Now’ are also featured. It's strange that a band with a song as immediate as "All Right Now" is a bit of an acquired taste, but it's the truth. 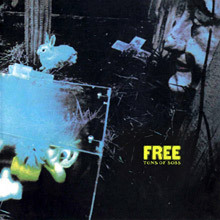 Free was a powerful, majestic hard rock band at their peak, but they were also a little obtuse; a lot of their power came from their playing, and their songwriting was epic, but often elliptical. As such, they're for hard rock connoisseurs -- a band who gained a spirited, dedicated following largely because they took devotion to unlock their treasures, especially in the years following their breakup. For those fans, the five-disc Songs of Yesterday is a godsend. This is not a box for listeners with less than a consuming interest in the band (even if you think you want total immersion in Free, this will not be as effective as purchasing each of their albums) since this contains a wealth of unreleased material. Very few of the tracks are actual album tracks, most are alternate mixes or alternate versions, plus there are a lot of live tracks in the mix, as well. As long as you know what you're getting into, this isn't bad, especially since it refurbishes the band's canon for the dedicated, giving them fresh insights to familiar songs (even if the new mixes aren't necessarily better than the originals -- they just sound a bit brighter and more modern). For anyone else, it's a bit much, and it doesn't quite tell the story in the right fashion, since it really offers a mirror image, alternate version rather than the real thing. Spanning their first Top Gear session at the BBC in 1968 to the recording of 'All Right Now' from John Peel's Sunday Concert session in 1970 this is testament to one of the finest British Blues/ Rock bands. A must for all aficionados, 'Live At The BBC' was gathered from the broadcaster’s vaults and Paul Kossoff's personal archives including material appearing for the first time. Free were gigging tirelessly up and down the UK during this period and these sessions capture the excitement these shows created. Uptempo Blues like 'Trouble On Double Time', 'Ride On a Pony' and 'The Hunter' plus sensitive ballads such as 'Over The Green Hills' and 'Be My Friend' are highlights. Although record sales never went along with it, Free were British rock at its pinnacle. Their studio albums were superb through and through, while the one live release perhaps represented the band at their peak. 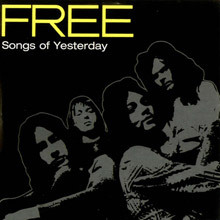 This best-of features the cream of Free's releases up to 1973. Extending past the easily accessible rock tracks into the realms of the bands quieter acoustic moments, as well as the more experimental areas of Free's material, The Free Story gives the whole picture of what Rogers, Kirke, Fraser, and Kossoff were about. The track selection well shows off the bands musical ability, from Paul Kossoff's vibrato-laden guitar to Andy Fraser's captivating bass playing. Indeed, few bands come close to the overall musicianship of Free. "Free left a legacy of enduring music which became a role model for much of which followed...The Free Story is testament to that heritage," declares the album notes. Few would disagree with that statement. 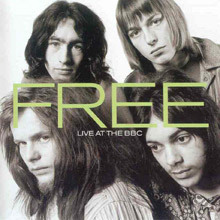 Free's return in 1972 was scarred by any number of traumas, not least of all the departure of bassist Andy Fraser and the virtual incapacity of guitarist Paul Kossoff -- one-half of the original band, and the lion's share of its spirit as well. But did their erstwhile bandmates let it show? Not a jot. The hastily recruited Tetsu Yamauchi, and vocalist Paul Rodgers himself, filled the breach instrumentally, and probably 50 percent of the ensuing Heartbreaker ranks among Free's finest ever work. Of course, any record that can open with the sheer majesty of "Wishing Well," Rodgers' so-evocative tribute to Kossoff, is immediately going to ascend to the halls of greatness, all the more so since Kossoff himself is in such fine form across both this cut and the next three -- completing side one of the original vinyl, "Come Together in the Morning," "Travellin' in Style," and "Heartbreaker" add up to the band's most convincing sequence of songs since the days of Fire and Water. Further into the disc, two contributions from another new recruit, keyboard player John Bundrick, fall a little flat, a fate they share with the previously unreleased "Hand Me Down/Turn Me Round," one of the 2002 remaster's six bonus tracks. But a pair of solo Rodgers songs, "Easy on My Soul" and "Seven Angels," close the album with as much emotion as it opened on, and one could well argue that, after such a treat, the aforementioned bonus tracks are all but unnecessary, especially as the first few simply offer outtakes, alternates, and B-sides from the sessions themselves. 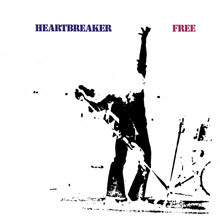 As the CD wraps up, however, two final tracks reveal what happened once the album was completed, peeping into the band's rehearsal room on the eve of their summer tour of Japan to catch "Heartbreaker" and "Easy on My Soul" in such rough but eloquently heavenly form that this most emotionally weighted of Free's albums could demand no deeper coda.